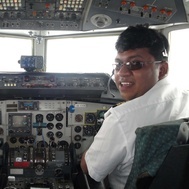 To follow Isuru Sarathchandra and start participating in AviationClub, sign up now ! It only takes a minute. Member since April 13 2011.
and eventually available also to Self sponsoring other qualifications.